This year the Westborough Community Land Trust (WCLT) awarded two $1,000 scholarships and two honorable mentions to graduating Westborough High School (WHS) seniors. Selections were made on the basis of essays written for WCLT’s annual Earth Day Essay Contest. Peter Howarth was awarded a scholarship for his essay describing his work in creating a new trail at Sawink Farm and his development of a greater commitment to improving the environment. 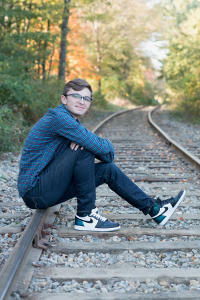 He will study pre-sport management at the University of Connecticut. 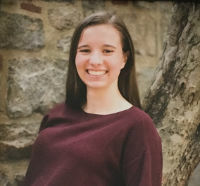 Victoria Helle won a scholarship for her essay describing her commitment to addressing the problem of litter in town and the work she has done to reduce litter from plastic water bottles at the high school and from dog waste around town. She plans to study environmental science at the University of Rhode Island. Katie May Howarth was recognized with an honorable mention for her essay describing her experience in persuading the town’s school system to switch from Styrofoam trays to paper boats and her ongoing awareness of the environmental problem created by Styrofoam. She plans to major in graphic design at a four-year university. Grace Roney received an honorable mention for her essay describing her experiences with the high school beekeeping club and the environmental awareness that she developed as a result. She expects to major in history in college. After reviewing potential options for my Eagle Scout Project, which I completed some 20 months ago, one thing stuck out to me like an un-hammered nail: creating a trail from scratch. For years I had contributed to the Eagle Scout projects of my fellow Scouts, doing everything from assembling storage units for the high school chorus room to installing wooden steps into a steeper section of the Charm Bracelet, developing an outdoor volleyball court at Lake Chauncy to removing invasive plant species from our own native Westborough soil. But establishing a trail that had never existed, being able to make my own mark on the Westborough landscape was an opportunity I could never pass up. he second I took a step on the woodlands at Sawink Farm, I saw before me a blank natural canvas, one that I could put my own touch on to better the local community. To be honest, I entered my project with somewhat selfish intentions: I just wanted to do what had to be done, in-and-out, receive my Eagle patch and forget about the insignificant section of dirt that I cleared for a summer and would need to be trimmed by someone else down the road. But in one instant on that November day, I knew I was part of something bigger than me. Walking the overgrown “path” I saw beer cans rusted like relics, chicken wire abandoned in an impromptu basin, and enough glass bottles to fill a grocery store redemption center. My new goal was to make an impact in any way I could, to leave an indelible mark in the natural world I had spent so much of my time in. And on that frigid November day, I realized my journey was just getting started. Over the next 10 months, I staked, flagged, cut, measured, soaked, transported, cleared, bagged, dumped, whacked, trimmed, placed, nailed, installed, adjusted, and everything in between. It was a long but rewarding project, as it taught me how much effort is required to truly 1 impact our environment in the ​right​ way while also opening my eyes in appreciation for the many trails I have hiked through the Charm Bracelet. Never before then had I known how much deliberate effort and care went into each foot long and wide of our local trails. By the time I completed my project, I created a new trail on the Sawink Farm property, connecting the parking lot to the Sawink Loop to improve safety in accessing the trailhead. In doing so, I also installed a post with an accompanying sign to indicate the trailhead. At the junction of my connector and the beginning of the Sawink Loop, I removed all trash in an abandoned corner of land to beautify the area. Lastly, approximately three-quarters through my trail (well, I’m calling it my trail but it really belongs to both the WCLT and the SVT) my crew and I, consisting of fellow Scout volunteers, installed two bog bridges in a marshy patch to ease transportation. In the moment, sure I was appreciative of the work I had put into the surrounding area. But reflecting nearly two years later with more experience in the outdoors, I stand amazed at how much those short 10 months taught me. The sheer amount of trash I removed was staggering, and anytime I see anyone litter (which is more often that it should be), I always clean up after the fact. It’s the garbage that really does come to mind. It would be unrealistic to think that every person living in our community would help maintain our natural landscape by removing invasive species or installing safety-certified deer netting. So cleaning up one piece of trash anytime one floats by on the sidewalk, catching the eyes of bystanders and inspiring them, can make a real difference. We leave a gigantic carbon footprint and we can reduce that, one bottle and can at a time. All this brings me to present day. Following the completion of my project, I have hiked nearly every section of the Charm Bracelet and noting every Eagle Scout project that seamlessly blends the work of our community into the backdrop we call home everyday. And after registering the work it took to ameliorate one small connector trail, I now hike those trails with a new lens, seeing the endless opportunities to reduce emission, improve our environment, and preserve it for future generations. I just hope they don’t pass up on those opportunities either. Litter can cause a range of problems to wildlife and to humans. It kills animals, creates diseases in people and ruins the natural beauty of nature. Today Westborough is still experiencing problems with litter. Even though most people know about the harmful effects of litter, many continue to throw things on the ground. Imagine a world covered in litter. I can’t imagine that; I won’t let myself imagine that. That's why I have committed myself to doing my part to address this environmental problem. I have done multiple things to both decrease the amounts of litter on the ground and create more awareness of this problem. Anyone who knows me knows I am passionate about the environment and eager to make a difference. Last year, I was elected by my peers to be President of the Environmental club at Westborough High School. This honorable position gave me a voice and an opportunity to influence others to help in the effort to respect the environment. This year, my club and I sold aluminum water bottles to install a water bottle filler machine in our high school. The main reason behind this project was to decrease the litter caused specifically by plastic bottles. By installing this machine, it will hopefully encourage people to use more reusable water bottles instead of plastic water bottles, which typically end up on the ground or in landfills. The school supported the idea so much that it will now be getting two water bottle filler machines! My club raised $900 to buy one, and the school bought the second one! I am also a Girl Scout and currently finishing my Gold Award. My Gold Award project has been to make the people of the community of Westborough more environmentally aware. I have had the pleasure to work with Ms. Fisher, from WCLT, and Mr. Sjogren, from E.L. Harvey & Sons, on this project and their knowledge and support made me feel so lucky. My project has three focus points: the high school, the trails and the community. For the school part, I did morning announcements with environmental trivia that addressed pollution and environmental problems. This was impactful to students of my high school because I am informing them about the environmental problems that are happening in the world. For the trails part of the project, the environmental club and I are making trail signs for people to pick up dog waste. Dog waste has many negative effects to nature and to people as well. The dog waste can leak into the groundwater and can infect people with harmful diseases. For the final community part, I developed an informational website about the recycling and trash company of our town (E.L. Harveys & Sons), the mindfulness of nature and other information about recycling and environmental problems. This website is going to be posted on the WCLT and on the Board of Health websites. I also did an informational presentation on March 24th about my website. It was recorded by Westborough TV, so people who couldn’t make it to my presentation can still see it. By doing this project and working with the environmental club, I hope that my community can have better understanding as to why we should pick up litter and how it can help our environment. Littering is not only a problem in Westborough; there is trash everywhere. Even though it may seem like I am doing a lot for the town, there is still so much to be done! In college, I am planning on majoring in Environmental Science. By majoring in this I am going to be learning more ways to protect and positively impact the environment. Litter doesn’t stand a chance with me!